Walter Pinem is a full-time blogger and writer. He has been blogging since 2008 and had various freelance projects in technical writing, copywriting, WordPress development, and translation. 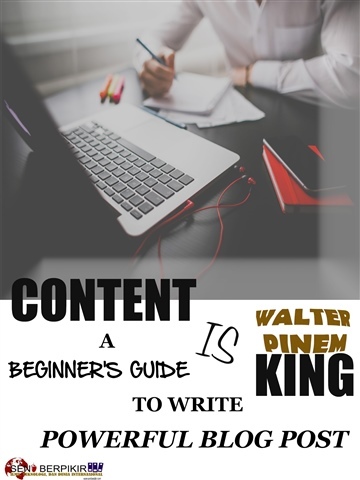 He also has a personal blog built with WordPress: https://walterpinem.me and several blogs he created and manages such as https://www.seniberpikir.com , https://www.dequixote.com , https://www.payungmerah.com , https://www.ladypinem.com , and https://gen20.xyz which he develops all by himself. He is also the founder and CEO of Seni Berpikir, a web-based knowledge resources about various topics such as blogging tips, WordPress, tech in general, International Relations, and more. He acted as a founder of Seni Berpikir Services, a web-based service which focuses in providing services related to content creation, copywriting, making and developing WordPress-based websites, and also translation.